Lisa is a little firecracker and she will let you know when she isn't in the mood for a cuddle. Marie is a very calm and relaxed guinea pig . They spend their days lazing about on foster care while they wait for their special home. Marie has cataracts in both eyes and limited vision as well as a small head tilt from a previous ear infection that is cleared up, it does affect her quality of life and our vets has given her the all clear to be adopted . 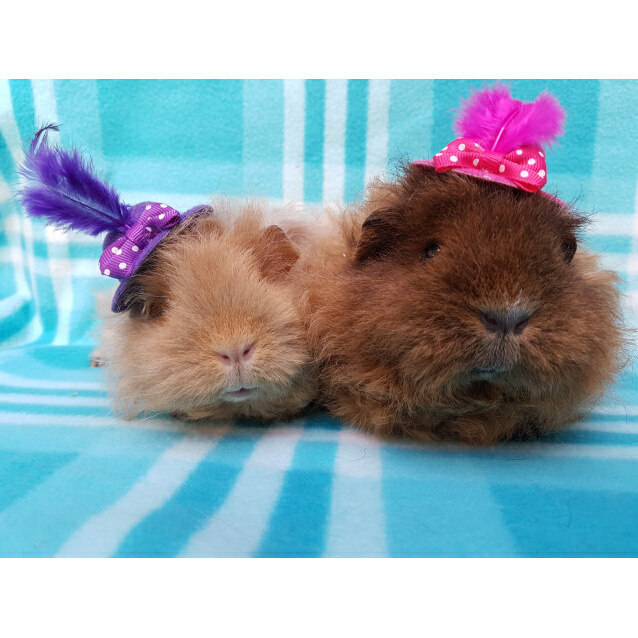 The girls have been adopted through us previously over 12 months ago but were returned earlier this year . They can't wait to find a special home to spoil them silly . 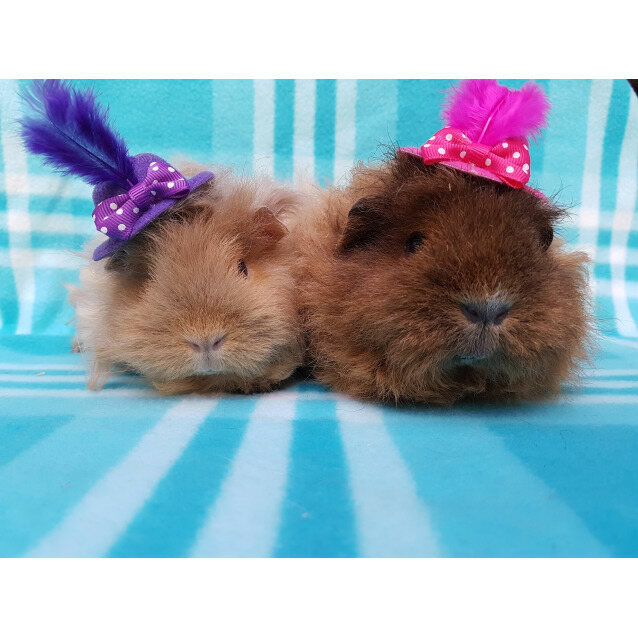 Both girls have long hair and will require extra grooming to keep it clean and beautiful. 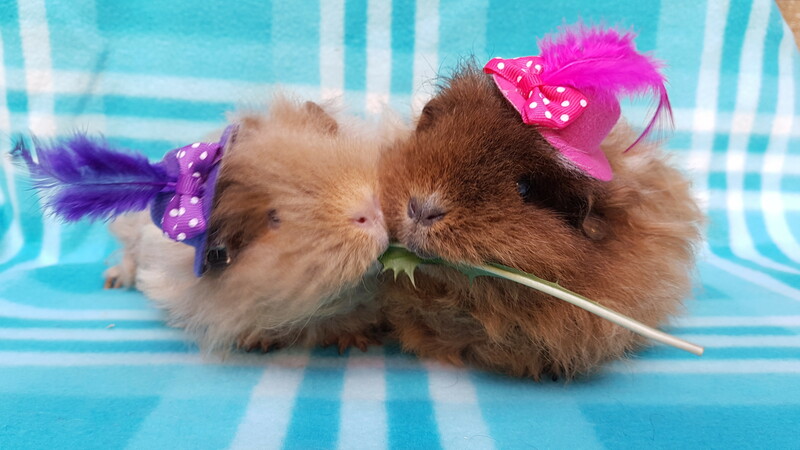 Our rescue Guinea pigs require indoor homes . Marie has cataracts in her eyes but she is not blind she stills see quite well . 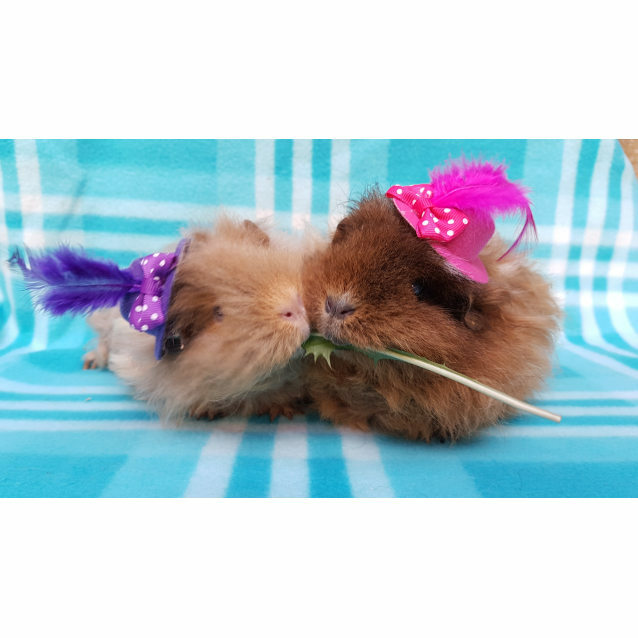 Guinea pigs don't have great vision in the first place so vision impairments rarely affect them . She also has a small barely noticeable head tilt from a previous ear infection that has cleared up . 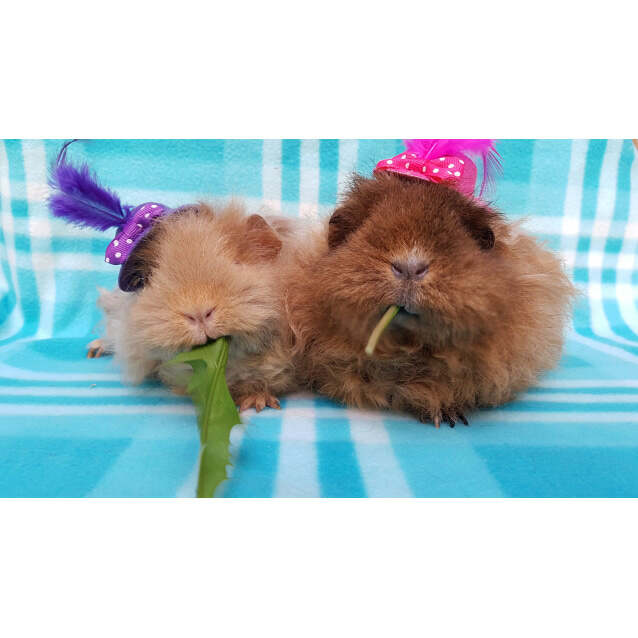 The girls are senior Piggies and do require extra supplements in their diet such as Oxbow senior supplements.